These are just my notes. Please buy the book! The Bible tells stories of men and women who have wrestled with God. The very name Israel means “one who strives with God.” He is holy and separate, transcendent and far above us; yet He is a God with whom we can wrestle. The goal of our wrestling match with God is peace with God. 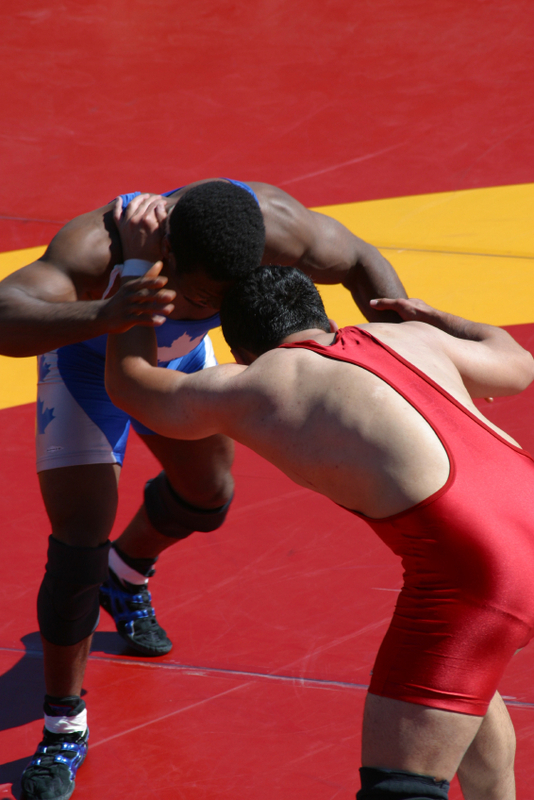 We will look at men who have wrestled with God: Jacob, Job, Habakkuk, and Saul of Tarsus. Then we will look at what it means to have peace with God. The name Jacob means “Supplanter.” He deceived his father, conned his brother, and entered into an ungodly conspiracy with his mother. It is hard to imagine that the son of Isaac and grandson of Abraham could be so corrupt. God worked on Jacob and eventually transformed his life over the years. When Jacob fell asleep at Bethel, he dreamed and saw a stairway referred to as “Jacob’s Ladder.” It served as a ladder between heaven and earth with angels going up and down. Jacob, at this point in his life, was not in tune with heavenly things, which was strange considering he descended from Isaac and Abraham. Surely they taught him the stories of how God did great things. Surely he had heard the story of how Abraham was about to sacrifice Isaac. All of these things seemed too far-fetched to Jacob. God seemed too far away for him to know and have a relationship like his fathers did. All this changed with that one dream. This image of a ladder as the bridge between heaven and earth did not appear again in Scripture until the New Testament in John 1:51 when Jesus said, “You will see heaven open, and the angels of God ascending and descending on the Son of Man.” This was a radical statement. Jesus declared Himself to be the ladder between heaven and earth. He is the One who bridges the gap and allows us to come to God. He is the key in our conflict with a holy God as we will see in this chapter. 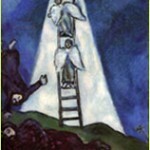 Jesus declared Himself to be the ladder between heaven and earth. He is the One who bridges the gap and allows us to come to God. This place became known as Bethlehem, which means “house of God.” There was no church there, no temple, but Jacob called it the house of God because that is where God revealed Himself to Jacob. Jacob was like us in that he heard all the stories, but he did not see the great works of God that others before him saw. Then once God gave him the dream, he realized that God was not distant, but was there all along. He had not realized it. It is the same today—God is here but we are unaware. This dream did not end the struggle of Jacob. It marked the beginning of Jacob’s struggle—a struggle for his own soul. Jacob’s response to the presence of God was, “How awesome is this place!” People today are bored in church. There is no sense of awe, no trembling. People in awe are never bored in church. 24 Then Jacob was left alone, and a man wrestled with him until daybreak. 25 When he saw that he had not prevailed against him, he touched the socket of his thigh; so the socket of Jacob's thigh was dislocated while he wrestled with him. 26 Then he said, "Let me go, for the dawn is breaking." But he said, "I will not let you go unless you bless me." 27 So he said to him, "What is your name?" And he said, "Jacob." 28 He said, "Your name shall no longer be Jacob, but Israel; for you have striven with God and with men and have prevailed." 29 Then Jacob asked him and said, "Please tell me your name." But he said, "Why is it that you ask my name?" And he blessed him there. 30 So Jacob named the place Peniel, for he said, "I have seen God face to face, yet my life has been preserved." Jacob was victorious only in his survival. He walked away from the duel, but he did so with a limp that stayed with him for the rest of his life. The angel demanded the name of Jacob, which is like getting someone to surrender by saying “uncle.” When Jacob surrendered his name, he surrendered his soul. He gave God authority over his life and his name as well as his identity was changed to Israel. Jacob then tried to get the name of the angel to try to salvage a draw or a tie. Jacob asked for the angel’s name while the angel demanded it. There are no draws with God. When we wrestle with Him, we lose. Jacob was defeated, but he survived, even though he wrestled with God. He was beaten and crippled, but he survived. We too must wrestle with God in order for Him to transform our lives and for us to fully surrender our souls to Him. No one ever carried on a more lively debate with God than Job. If ever a man seemed to have a right to challenge God, it was Job. Job was declared righteous by God Himself and yet He was afflicted severely. His possessions were stolen, his family was killed, and his body was covered in painful boils. It seems like Job was used as a pawn in a struggle between God and Satan. 1 Then the LORD answered Job out of the whirlwind and said, 2 "Who is this that darkens counsel by words without knowledge? 3 "Now gird up your loins like a man, And I will ask you, and you instruct Me! 4 "Where were you when I laid the foundation of the earth? Tell Me, if you have understanding, 5 Who set its measurements? Since you know. Or who stretched the line on it? 6 "On what were its bases sunk ? Or who laid its cornerstone, 7 When the morning stars sang together and all the sons of God shouted for joy ? 8 "Or who enclosed the sea with doors When, bursting forth, it went out from the womb; 9 When I made a cloud its garment And thick darkness its swaddling band, 10 And I placed boundaries on it And set a bolt and doors, 11 And I said, 'Thus far you shall come, but no farther; And here shall your proud waves stop '? Job was severely humbled and responded in Job 40:3-5 with, “I am unworthy—how can I reply to you? I put my hand over my mouth. I spoke once, but I have no answer—twice, but I will say no more.” Job wanted to put his hand over his mouth to keep from having any more foolish words come out. Job’s questions were never answered by God, yet he was satisfied. God answered Job’s questions not with words, but with Himself. Once Job realized who God was, he was able to trust in Him. Instead of being mad at God, he was mad at himself for his foolish challenge. Habakkuk the prophet was another man who challenged God in the Old Testament. He thought it unjust that Israel should suffer at the hands of a nation more wicked than they were themselves. It can be compared to a Jew during the Holocaust wondering if God was on Hitler’s side. 2 How long, O LORD, will I call for help, And You will not hear? I cry out to You, "Violence!" Yet You do not save. 3 Why do You make me see iniquity, And cause me to look on wickedness? Yes, destruction and violence are before me; Strife exists and contention arises. 4 Therefore the law is ignored and justice never prevails. For the wicked surround the righteous; Therefore justice comes out perverted. Habakkuk erred a bit by saying that justice never prevails. Surely there is injustice in the world that awaits judgment, but it was too much to say that justice never prevails. Habakkuk was upset that God seemingly did nothing while Israel suffered at the hands of the wicked Babylonians. Habakkuk challenged God and when God responded, Habakkuk’s reaction was similar to Job’s: “I heard and my heart pounded, my lips quivered at the sound; decay crept into my bones, and my legs trembled,” Habakkuk 3:16. Habakkuk responded like a child scolded by a parent. Habakkuk was able to rest in God’s sovereignty once he remembered who God was. Jacob, Job, and Habakkuk all declared war on God and they were all defeated. Though defeated, they all came away from the struggle with a personal knowledge of who God was and their souls were uplifted. Saul was zealous in his pursuit of righteousness. He was a Pharisee of the Pharisees, a man committed to legal perfection. Ironically, the more zealous he became, the more opposed he became to the work of God. God wants us to pursue righteousness, but He stands against the proud, arrogant, and self-righteous. Saul was convinced that he was fighting for God, but he was actually fighting against God. He was doomed to an ultimate confrontation with the very Christ he opposed. One of the Old Testament names of God is El Shaddai, which means “the thunderer” or “the overpowerer.” It was El Shaddai that appeared to both Job and to Saul, as both experienced the awesome power of God. Saul was on the desert road at noonday, when the sun was its brightest. Saul was overpowered by a light even brighter than this, a light more brilliant than the sun, a “light from heaven” itself, as he described. This light was the glory of Jesus Christ, who will light up the New Jerusalem by Himself. 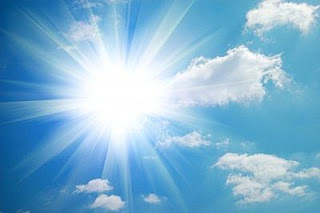 If we look into the sun, we can damage our eyes, so it is not strange that Saul lost his eyesight from the brightness of the glory of Christ. With this light also came a voice. The voice is described as the sound of many waters, of a booming waterfall. The voice of Jesus addressed Saul personally as “Saul, Saul.” The name repeated indicated a greeting of personal intimacy. It was how God addressed Moses at the burning bush, Abraham at the altar at Mt. Moriah, and how Jesus addressed the Father on the cross. Jesus asked, “Saul, Saul, why do you persecute Me?” He didn’t ask why Saul was persecuting the church, but why he was persecuting Jesus Himself. He then asked why he continued to kick against the goads, which are sharp spikes on an oxcart used to keep the ox moving. He was telling Saul to quit banging his head against the wall and surrender to Him. Saul replied, “Who are You, Lord?” He knew he had been overpowered by God, but He did not know who God was. Through this experience with God Himself, Saul became Paul just as Jacob had become Israel. His life was changed forever with this encounter and he found peace with God and a commission to apostleship, like Isaiah did. Saul the Pharisee was zealous in his fight against Christ, but Paul the apostle was even more zealous in his fight for Christ. He had a vision of holiness that was so intense that he never forgot it and it drove him to serve Christ with everything he had. He wrote about it in detail in his letters. He became a man who knew what it meant to be justified. It was Paul’s writings that awakened Martin Luther in the monastery and answered his question of how an unjust man could survive in the presence of a holy God. The struggle we have with a holy God is due to our conflict between God’s righteousness and our unrighteousness. He is just and we are unjust. This struggle creates fear, hostility, and anger within us toward God. The criminal does not want the company of a just judge. We are fugitives fleeing from God whose glory can blind us and whose justice can condemn us. We are at war with God until we are justified. Only the justified person can be comfortable in the presence of a holy God. We are at war with God until we are justified. Only the justified person can be comfortable in the presence of a holy God. The first fruit of our justification is peace with God. Peace to the Jew was a precious but elusive commodity. The Jew longed for the Messiah to come and bring peace to Israel. So important was peace that the very word for peace, “Shalom,” became a daily greeting. Peace is a big, big deal. 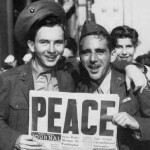 I remember having my turn at bat as a youngster interrupted by people yelling and running out of their houses on VJ Day in 1945 that signified the end of World War II. It seemed as peace would be established forever, but I had no idea how fragile it was. Peace treaties between men are made to be broken and peace can’t be trusted. God’s peace is different. We enter into a peace treaty with God that is eternal. When we sin, God is displeased and He will correct us and convict us of our sin, but He does not go to war against us. His bow is no longer bent and His arrows of wrath are no longer pointed directly at us. We have a mediator, Jesus, who keeps the peace between us and the Father. He ensures and guarantees peace for us because He is the Prince of Peace and He is our peace. Our peace with God the Father is permanent, not temporary. If we sin, God will correct us and convict us of our sin; but He does it in fatherly love. We are no longer enemies of God and the arrows of His wrath are no longer pointed directly at us. Peace is only one immediate fruit of our justification. 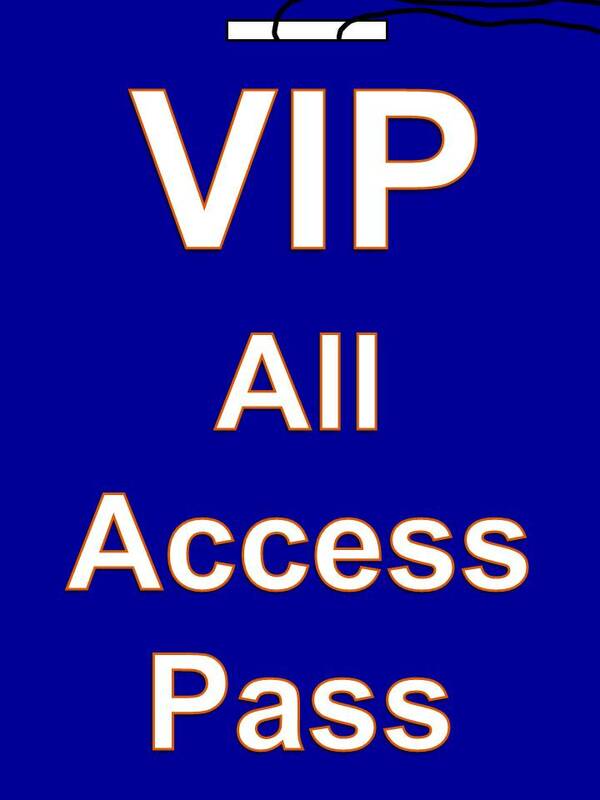 We have also been given access. This is a huge thing for anyone who has ever wrestled with a holy God. Access with a holy God is a relatively new thing. The High Priest in the Old Testament was only allowed into the Holy of Holies once a year. Other than that brief moment for that one person, there was pretty much no access. God was up there and we were down here—way, way down here. All that changed the moment Jesus died for our sins—the veil of the temple was torn from top to bottom and we were given access to the presence of God. We don’t just have access to grace, we have access to Him. Once we are justified by Jesus, we no longer need to say, “Depart from me, for I am a sinful man.” We are able to be comfortable in the presence of a holy God because we have been justified by a holy Christ. We are covered by His righteousness. We can pray directly to God the Father. He is no longer our enemy or far away from us; He is near to us. We now have access! We certainly still come in awe, in a spirit of reverence and adoration, but we can come. This is tremendous news. Paul says in Hebrews 4:16: “Let us then approach the throne of grace with confidence.” We can do this because of our great High Priest, Jesus. We have access because of our justification. It is still important to remember that we are not just—we still sin—but Jesus is just and it is He who justifies us. We must still tremble before a holy God. We must still be in awe that Jesus Christ, God the Son, would die for us so we could be justified and have access to God the Father. We are still to enter with confidence, but also with the knowledge that a lot went into our access and it is not something to be taken lightly. Luther said that we are to fear God, but not with a servile fear as a prisoner before his tormentor, but as children who do want to disappoint their beloved Father. We come in confidence and boldness. 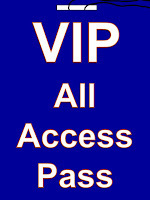 We have access. We have a holy peace.